For a foreign national, a U.S. life insurance policy may provide much-needed liquidity that can help fund legacy goals and business-planning needs. In today’s world, we live in a global economy. This new reality is reflected in both the general population and the influx of international businesses in the U.S. According to the 2012 Census Bureau survey, there were 22 million non-U.S. citizens living in the United States. It is estimated that 21 percent of the married couple households in the U.S. have one or more foreign born spouses. The H-1B cap of 65,000 for special work visas and 20,000 under the advanced degree exemption was reached for fiscal year 2015. This does not include current H-1B workers who are already employed. What these statistics tell us is that there is a real need for planning to help protect the financial futures of individuals and businesses where a foreign national is involved. Here are three key situations to consider. Covering debts (mortgages or student loans). In addition, a foreign national may be supporting family members who live in another country and would want to provide for them through a U.S. life insurance policy, which in many cases offers advantages over a policy from the individual’s country of origin. The death benefit on a U.S. life insurance policy is generally free from federal income taxes. If the insured is a non-resident foreign national (non-resident alien with a permanent residency outside the United States and no green card), then the death benefit would not be considered part of the individual’s U.S. assets and would not be subject to U.S. estate taxes. A U.S. life insurance policy is in U.S. dollars, which is a strong currency, and could be a complement to an overall international financial portfolio. Providing a source of potential cash value accumulation for business use. Also, many affluent foreign nationals who live in the United States may own small businesses. These individuals might consider life insurance as a funding mechanism for business-succession planning. A surviving U.S.-citizen spouse may receive any amount of assets from the estate of his/her deceased spouse without having to pay an estate tax. The same is not true, however, if the surviving spouse is not a U.S. citizen, even if he or she is a permanent resident (green card holder) and the deceased spouse was a U.S. citizen. The IRS requires estate taxes to be paid within nine months after a death. This includes taxes on any inheritance going to a surviving foreign national spouse over and above the applicable estate-tax exemption. For 2015, the exemption is $5.43 million, and all worldwide assets owned by a deceased permanent resident or U.S. citizen are subject to U.S. estate tax. 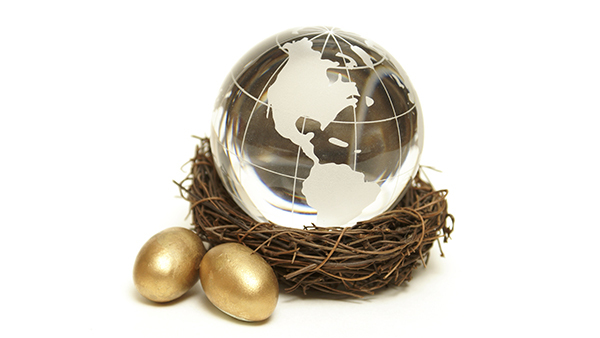 For a nonresident, the exemption is limited to $60,000, and only U.S. assets are included in the U.S. taxable estate. Again, as stated before, life insurance owned by the nonresident on his or her own life is not considered U.S. property and would be excluded from the U.S. estate tax. Although a qualified domestic trust (QDOT) is often considered, the survivor’s access to the funds in the trust is limited, except for emergencies or hardship as defined by the IRS. There are other requirements for a QDOT that need to be considered before deciding on this solution. A life insurance policy, on the other hand, can provide immediate cash for a foreign national spouse. Life insurance may play an important role in any financial plan. For a foreign national, a U.S. life insurance policy may provide much-needed liquidity that can help fund legacy goals and business-planning needs, as well as wealth-transfer plans. To learn more about life insurance for foreign national or international clients, go to the Foreign Nationals Connection website. Transamerica Life Insurance Company and its agents and representatives do not give tax or legal advice. This material and the concepts presented here are for information purposes only and should not be construed as tax or legal advice. Any tax and/or legal advice you may require or rely on regarding this material should be based on your particular circumstances and should be obtained from an independent professional advisor.